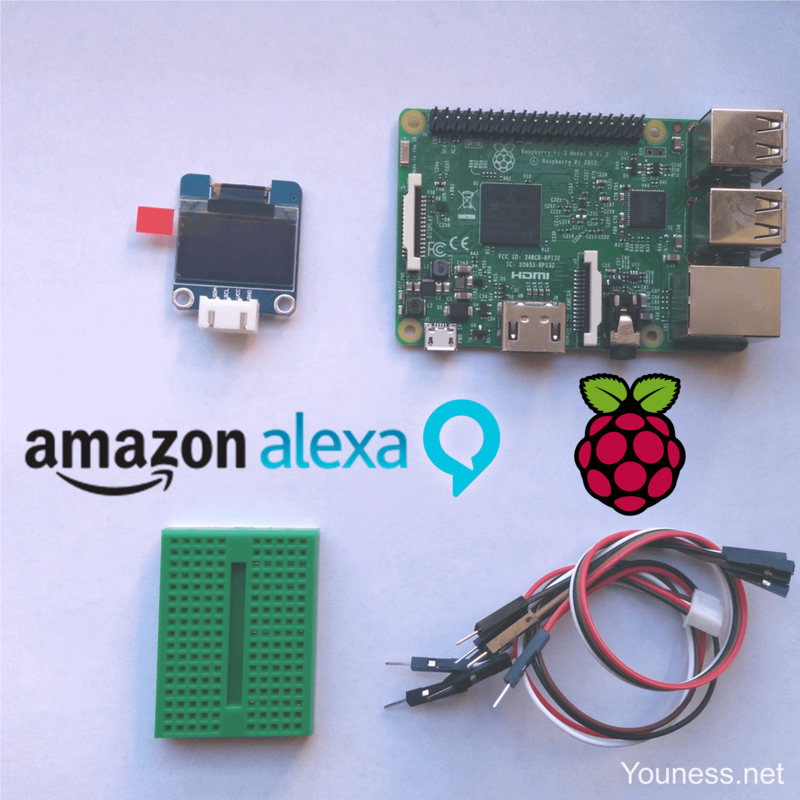 Update 01/12/2016: As I expected, Amazon is working on an Alexa screen display! Why Alexa GUI? In my opinion, GUI remains an essential part of any interaction between humans and machines, especially for systems with voice input, and this can be observed for example when people look at Echo device while talking to Alexa. So headless voice assistants are just like talking in the dark, uncomfortable without feedback of what the system is doing. To do it in Python: Since I’m using the python client AlexaPi done for Raspberry Pi. If you want to build AlexaPi, please use its tutorial. Software part: I’m using Adafruit library, it works like a charm. I’m also following their instructions here : SSD1306 OLED Displays with Raspberry Pi. If not, enable it in Raspi-config. You should see image on the OLED display. For each state, I create a 128×64 black and white .png image. Here is an example of the displayed state. image.png to be changed with the real names. This is a difficult part for me, since I’m not a designer, and I’m using only MS Paint to edit the pictures. Compared to the first demo, the improvement is noticeable, but still mechanical.So later I added other animations for microphone, Alexa thinking and speaking. For the moment I’m not doing the animation for all states. I want now to customize Alexa depending on the intent, for example when she’s saying a joke. The prompt hello.mp3 contains a silence part at the end, I cut it to make speaker animation correct. congrat’s and keep us posted with your new experiments ! !